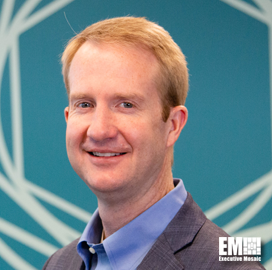 Jamie Brown, formerly director of global cybersecurity policy and strategy at CA Technologies, has joined Tenable as director of global government affairs at the Columbia, Md.-based cyber risk management company. Brown will lead a team that coordinates with government officials worldwide in efforts to implement policies intended to secure systems and encourage digital innovation and transformation efforts, according to a Tenable blog entry posted Jan. 11. In his previous capacity, Brown worked on global cybersecurity matters at CA Technologies and helped drive its participation to technology trade groups such as the IT Sector Coordinating Council and the Software Assurance Forum for Excellence in Code. He also served as a staff member for the House Science, Space and Technology Committee’s research and technology subcomittee. Tenable’s government affairs team partnered with the Cybersecurity Coalition last year to incorporate language into the United States-Mexico-Canada Agreement, a free trade agreement that promotes international collaboration in addressing cybersecurity issues.